It’s time for another SGMG Heart-to-Heart! This time, I’m excited to introduce you to my beautiful friend Lisa. LC: My name is Lisa and I grew up in the Greater Philadelphia area of Pennsylvania. I have pretty much lived here my entire life. I grew up playing soccer, field hockey, and a sprinter for the track team. I attended college at Eastern University and played field hockey there fore 4 years. My husband Brian and I have almost been married 2 years and we have a Portuguese Water Dog pup named Lola. We just bought a house this winter and currently live in the Main Line area of Philadelphia (near Villanova University). I am obsessed with the TV show Law & Order SVU. My husband and I would watch it every Saturday after our long runs during fall marathon training and I got hooked. But all time favorite TV Show is Gilmore Girls. I can watch that anytime anywhere and sometimes I wish I could be cloned to be Rory but just athletic (because she is not!). I absolutely, LOVE coffee! I could drink it 24/7 but I need to keep my intake down for health reasons. How long have you been running and what made you want to get started? My first half marathon was the Philadelphia Half Marathon in 2012 so I guess I started running the summer of 2012. I honestly signed up for the race because just going to the gym to work out wasn’t really working anymore. I would constantly make excuses on why I didn’t need to go. So I decided to give myself a goal, a physical challenge that would allow me to be consistant, committed, and challenged. Then after running my first half marathon, which I have to say was at the time one of the hardest things I had ever done, once I crossed that finish line I was hooked! I love reading your race recaps! What’s been your favorite race of all time, and why? Right now, my races are very limited to the Philadelphia area because I am just starting my goal of running a half marathon in all 50 states, so I ran the Delaware Half Marathon in mid-May. But as of right now, I love what I would call the original Philadelphia Half Marathon, the one in November, for some reason people think the Rock ‘n’ Roll Half Marathon in Philadelphia is the annual half marathon, it is not and the course is not fun (in my opinion). The original used to run through the entire city and if you were a tourist you would get a nice run through the heart of the city down South Street, through University City, and Fairmount Park. Now, the race takes you through a portion but not enough, you stick to more the Fairmount Park and Strawberry Mansion area, which is not as much fun because most spectators can’t get there to cheer because of all the closed roads. Where for the original on South Street and in University City there were people everywhere cheering! It was electric. What do you love about running in the Philadelphia area? Do you have any favorite loops/routes/spots to run that you could recommend to tourists? I absolutely recommend doing any type of long run on the Schykull River Trail. I usually prefer to start at Lloyd Hall at Boathouse Row. You can run as far as you want heading toward Valley Forge and the new Schykull Banks Trail if you want to run in towards the city is great! I am pretty sure they are working on expanding it. Other than there, I live on the Main Line and love to run along the Valley Forge National Park 5 mile loop, which is great for a good hill work out. I also frequent the Chester Valley Trail which runs along Route 202 south of King of Prussia and goes up toward Exton. Lastly, the Radnor Trail in Wayne is a 5 mile straight trail that has a good incline and decline. What are your favorite ways to rest, recover, and treat yourself after a big race? My favorite way to rest and recover is honestly, actually resting! My life can be so busy sometimes being in full-time ministry that I forget to sit down and chill out. So sometimes sitting on the couch bingeing on a TV show or reading a book are good way for me to rest and recover. Stretching and rolling really help as well! My favorite treat is easy! I love Pizza Hut Pan Cheese Pizza, that has been my post race all day meal since my first race in 2012. It is a tradition that I have made my husband continue with me since we got married. Thankfully there is still a Pizza Hut close to us in Bryn Mawr because the one near my old apartment went out of business. What would be your encouragement to someone who wants to become a runner? I can’t lie and tell you it won’t be hard because it will be but when you accomplish what you set out to do whether it was a 5k, a half marathon, marathon, or even just a healthier lifestyle you won’t regret it. I have never met someone who started running and regretted it. Keep putting one foot in front of the other. Pace doesn’t matter (unless you want to reach a certain goal), I believe the most important thing about running is having fun! When I started running I did it so I could stay in shape and challenge myself. I learned a long the way that my competitive nature can get the best of me, I want to work hard and achieve goals but not at the expense of me getting stressed out or anxiety over something like I would prior to running. Enjoy the privilege you have to run, smile, high five, and make friends a long the way. 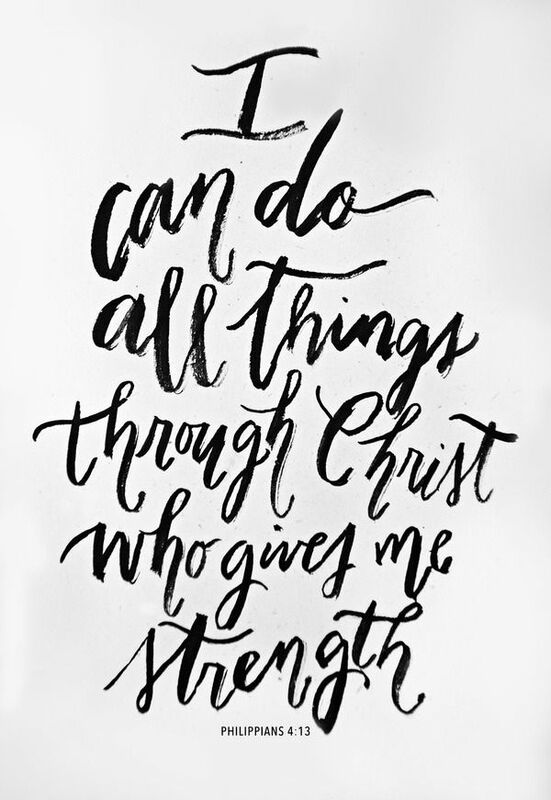 Do you have any favorite Bible verses, quotes, or running mantras that help you through tough training? Or life in general? 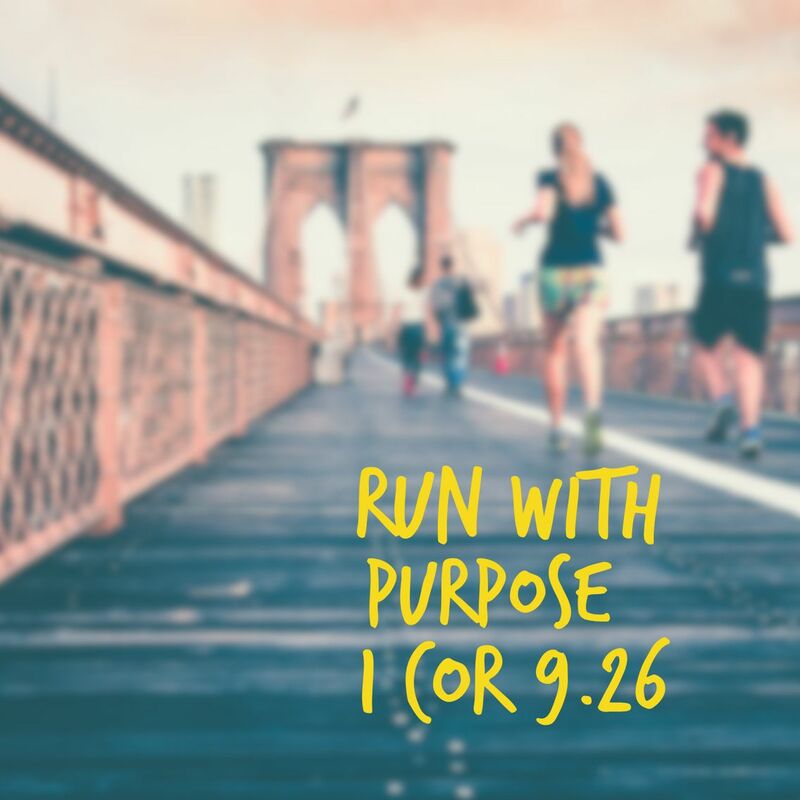 This verse helps me so much in races because I have to admit doubt as to whether I can finish the race goes through my mind often even after 11 half marathons and 2 full marathons, but it helps me remember that my ultimate source of strength is from the Lord not myself so it helps me switch my focus to the Lord. Just for fun, what are three non-running things that you’re loving right now? I love the Lenny & Larry’s Cookies, my favorite flavor is the Birthday Cake one. They are packed with protein and at least for me really help fill my belly when my I am on the go instead of eat random unhealthy food. My Hidrate Spark 2.0 Water Bottle – it is a bottle that tracks your water intake through an app. The bottle will light up when you are behind in your daily hydration. It is an expense water bottle I have to admit but it has helped me so much with my hydration game. Devon Donuts! If you ever come visit the Main Line area of Philadelphia you need to come check out Devon Donuts! I never was really that into donuts but ever since they opened up two of these stores on the Main Line, I have been hooked. I haven’t had Duck Donuts before, but they are opening one up in King of Prussia apparently, I would say they are comparable to them. I really like food, which I think is ok as long as you have all the unhealthily yummy stuff in moderation! Thanks for sharing your story + love for running, Lisa! To connect with Lisa, follow her on Instagram (@lisa_catton) and read her blog.